Unobtrusive and charming, Minni ring is made from aged silver tone metal. 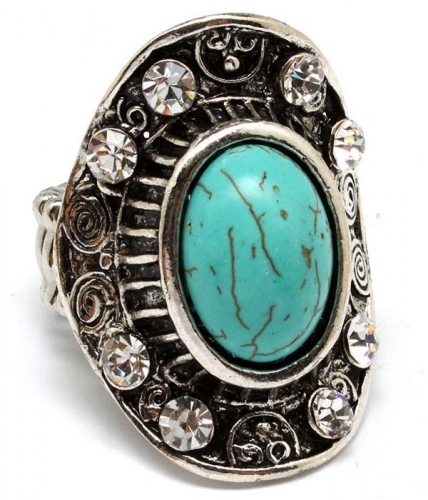 The ring features oval bent design, clear crystal embellishment, oval turquoise centerstone and contemporary ornament. Great value, high quality and popularity all combine to make this ring a 'must have' item!